Have you heard of the OC Teal Pumpkin Project? The OC Teal Pumpkin Project FB page was started by a super cool mama, Brianna Crawford, this fall to help raise awareness about the Teal Pumpkin Project here locally, to encourage other families (and businesses) to participate this year! Halloween a little more magical, one teal pumpkin at a time, in honor of her own son. Halloween can be a scary time for families managing food allergies because the traditional Halloween treats associated with trick-or-treating are often unsafe for children with life-threatening food allergies. 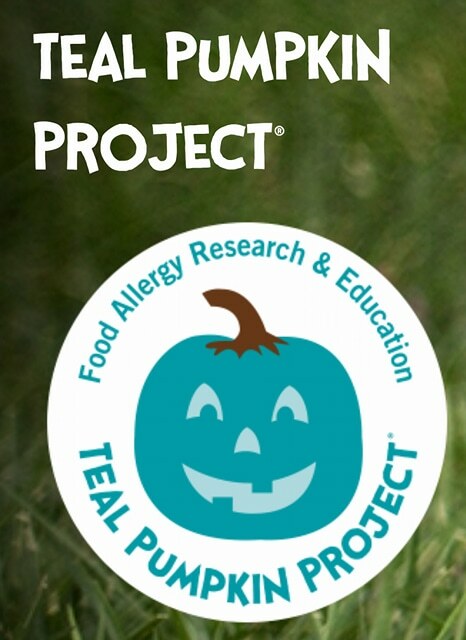 The Teal Pumpkin Project is a national campaign launched in 2014 by the nonprofit Food Allergy Research & Education (FARE) to raise awareness about food allergies and promote the inclusion of all trick-or-treaters throughout the Halloween season. This movement offers a safe alternative for kids with food allergies, as well as other children for whom candy is not an option (such as those with diabetes, celiac disease, epilepsy, etc), and keeps Halloween a fun, positive experience for all! Supporting the Teal Pumpkin Project is a simple gesture that can have a big impact, especially given 1 in 13 kids here in Orange County have at least one food allergy. For families not faced with food allergies, the campaign also offers a great way to talk about empathy and show support of friends and classmates with food allergies. Simply place a teal pumpkin (you can pick up a teal pumpkin painting kit at any of Pumpkin City's 3 locations, or pick up a plastic pre-painted one from retailers like CVS and Michael's) in front of your home to indicate that you have non-food treats available in addition to traditional candy. (You can even skip a pumpkin and just hang up a free printable sign from FARE if you get low on time!) And don't forget to add your house to FARE's interactive participation map so the little ghouls and goblins in your neighborhood know where they can safely trick-or-treat! 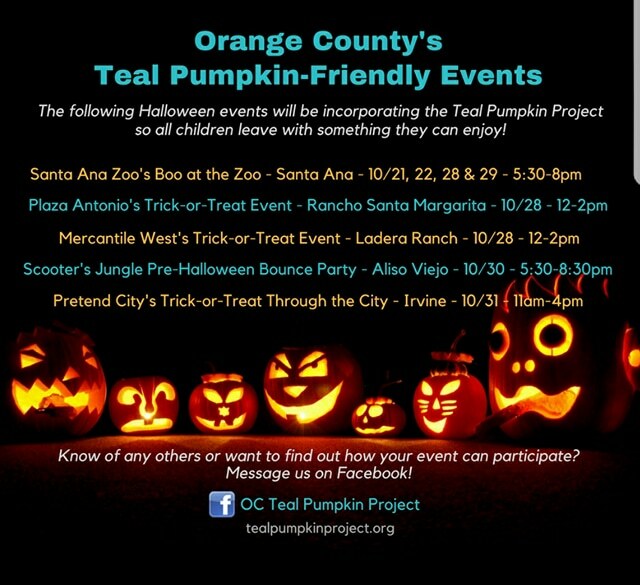 Below is a list of OC events I know of that will be incorporating the Teal Pumpkin Project into their events, offering non-food treats to children that need safe alternatives. I am loving all the options for our kiddos! 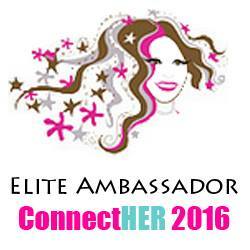 Do you have a location to add to the list? Let me know! Happy safe trick or treating everyone!